The Smashing Pumpkins concert at the Paramount Theatre Wednesday, March 23, started with a promising acoustic set but ended unevenly. 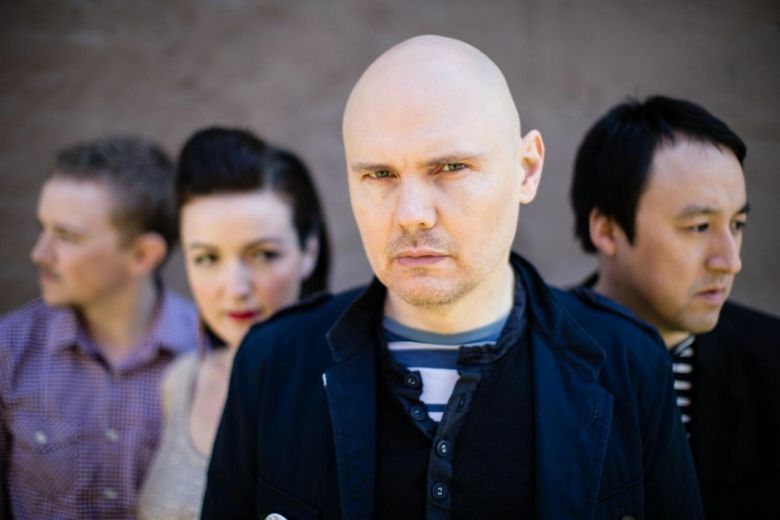 The first 45 minutes of Smashing Pumpkins’ two-and-a-half-hour performance Wednesday (March 23) at the Paramount Theatre suggested it might be one for the ages. Playing an acoustic guitar against a gorgeous illuminated backdrop of autumn leaves, shaved-headed, nasal-voiced bandleader Billy Corgan quickly reeled off several uninterrupted solo songs. Some were so new the titles aren’t yet known; others, like “Tonight, Tonight,” every Gen-Xer knows by heart. The unplugged subset brought out the veteran rocker’s six-string virtuosity and remarkable vocal control — and got even better once second guitarist Jeff Schroeder joined in. The duo’s interplay was amazing on the surprise standout “Jesus, I/Mary Star of the Sea” by Corgan’s much-maligned 2001 offshoot Zwan — which might be due for re-examination. But the night peaked there. Once Corgan’s band took the stage for the rest of the “Siamese” suite, its rawness made obvious this was only the second gig of a long tour. Dynamic and intense on record, both “Soma” and “Today” fell flat, doomed by a too-hot mic and too-loud drums. Other Pumpkins classics fared better, such as the tear-jerker “Disarm” and “1979” — probably the median birth year of those in attendance — which elicited joyous dancing in the aisles. But just as the group’s output since its ‘90s glory years has been hit-and-miss, the decision to split the difference between electric and acoustic left the back half of Wednesday’s set feeling like a rock’n’roll variety show that — while fan-friendly, with lots of deep cuts amid recognizable singles — lacked the laser-sharp focus of the evening’s auspicious beginnings. The Pumpkins’ fellow Chicagoan Liz Phair, a grunge-era It Girl who later scored a mainstream hit with 2003’s “Why Can’t I,” opened the show. Despite having not toured in six years, Phair’s quietly raging songs still hit hard, all pop hooks and unprintable honesty.